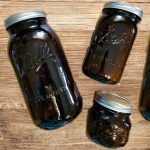 Whether you’re a canner, a freezer, a fermenter, a dehydrator or all of the above; we’ve compiled a few tips to help you gear up for canning season, so you can get the most taste and quality out of your preserved goodness. We started one so that we could preserve our family-canning journey. Our children began taking an intense interest in helping with putting up our bounty – from planting & tending the garden to putting those cooled sealed jars on the shelf. 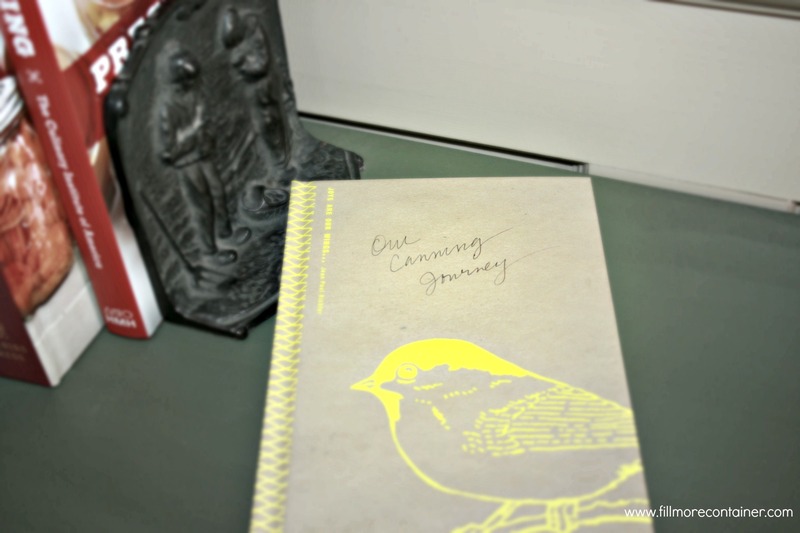 A journal was a great way to record our journey. We still use it for that original purpose, but the journal has evolved into a very useful reference. We record important basics like: dates, volume of produce that you started with, recipe &/or process used, actual preserved yield. It can also be used to make notes and compare recipes or processes, or even comparing different strains of produce. Lastly, you can record what’s left on the shelf, helping you to determine what to make more of, or less of. Check dates – Make sure that your oldest foods are being used first. Depending on your storage limitations, it can be inconvenient to rotate your stock, but it’s an important task and best done whenever you add freshly preserved items. Spoilage – Do a visual check of seals and quality. If something is unsealed discard it. If any of your preserves look discolored it could be a sign it has spoiled, it is best to discard it. Here are 7 signs of spoilage that will help you evaluate if you need to toss any preserves, and here’s the best way to discard bad preserves. Determine what’s left in your pantry – Re-evaluate how your consuming patterns matched up with your preserving patterns. A preserving journal is a great way to track this. You may decide to skip something this summer, or do more of something else. For example, we did a ton of apple butter in 2013. Between the jams we did in season, plus the ones we did during demos, we’ve got more than we need for the year – even though we shared a lot of it! 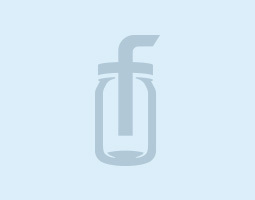 Label audit – Assess your method of labeling your jars. Which held up the best? Over the years, we’ve found that writing with a Sharpie right on the jar is much easier than scrubbing a label off once we’ve emptied the jar. The Orchard Road lids leave lots of space for labeling, and we’ve found that oil pencils are nice to write with too. We determined that we will make less jam this year. Although, we do have a list of “new” jams we want to try, and we might not do any apple butter. However, if I find myself with an excess of apples we will put some of the recipes from our Preserves in Action Pinterest board to use. Make a plan – Think about what new things you may try this year and plan accordingly for what you may need to add. If you are trying to cut back on your processed sugar intake, try Pomona’s Universal Pectin. The Preserving with Pomona’s Pectin cookbook is a great guide to help you on your journey of low-sugar preserves. Get the lowdown on low-sugar pectins here. Marisa McClellan’s Naturally Sweet Food in Jars is an excellent resource, with recipes that use alternative sources of sweetness like agave, honey, fruit juices, maple syrup and more! 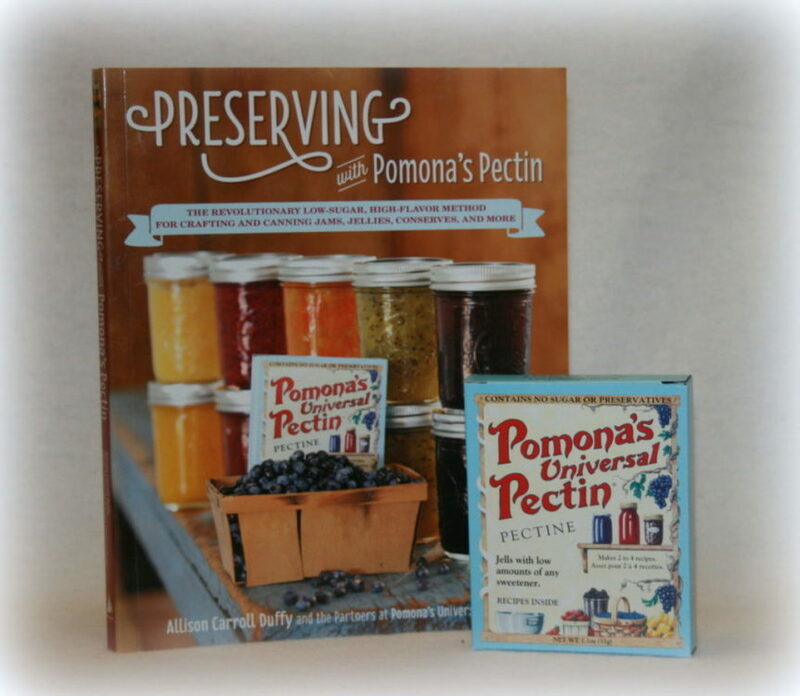 Linda Ziedrich, author of The Joy of Jamming and Joy of Pickling wrote about her own experience with Pomona’s and other specialty pectins on her blog, A Gardener’s Table. 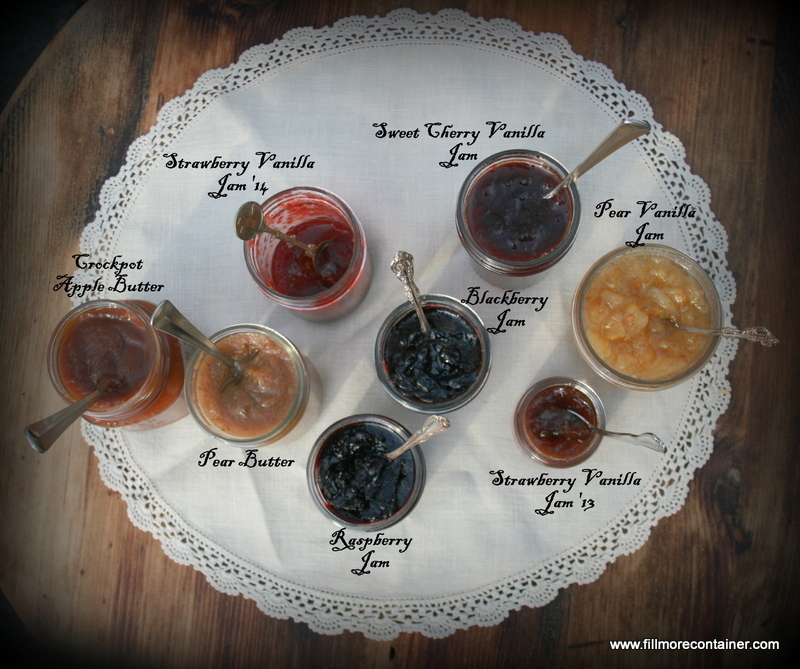 You can find reduced sugar & sugar free jams and jelly recipes on our Pinterest board. Inspect your canning jars for chips, cracks, and defects. Put aside any that are not suitable and upcycle them instead. Check your supply of flat canning lids. As all preservers know, these can only be used once for preserving. You can stock up on regular mouth and wide mouth flat lids by bulk. If you don’t already have a system in place to store and sort your lids, here’s how we do it. Here’s some helpful tips to keep your rings rust-free. If some of your rings have gotten too rusty, it may be time to send them to the recycle bin or do something else creative with them, or donate them to a creative reuse center. 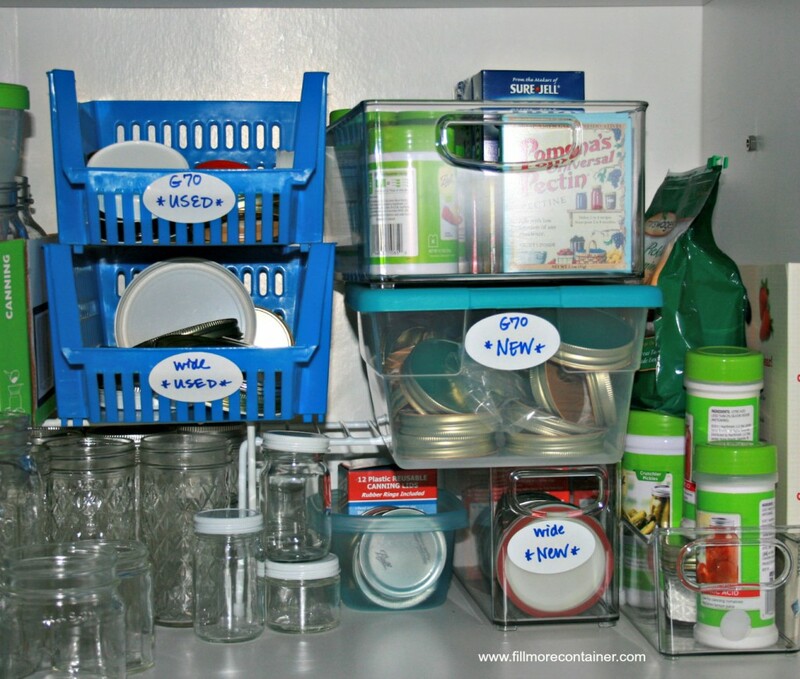 Do you have lids for all of the jars you wish to use? If you have jars that are not standard regular mouth or wide mouth and need to replenish your supply, learn how to measure your jars for the right lid here. Check expiration dates & freshness on all of your preserving additives – pectin, pickling spices, citric acid, etc. (Note: Pomona’s Universal Pectin does not expire.) Discard outdated items or spices that have lost their aroma, and replace with fresh ones. Waterbath Canner: If you have an enamel one, check it for dings & chips that may become problems. Check your rack to ensure that it’s still intact and will be able to handle the weight of canning use. Rust isn’t a huge issue, as long as it doesn’t interfere with its performance and safety. If it’s time to pitch it, consider some fun creative uses first. Pressure Canners: If yours has a gasket, check it for drying, cracking or tearing and find a replacement, if needed. Get your pressure gauge tested. Most extension offices will offer this service during certain times of the year, or by appointment. Some stores that sell pressure canners may also offer testing. 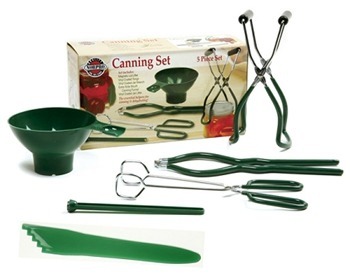 Tools – Check to see that you still have some of these handy tools: Funnels, magnetic lid wand, jar lifter, cherry pitter (and its replacement rubber) & any other favorite tools that are part of your canning habit. If you are preserving on a big scale, consider using a community kitchen that will give you adequate space and access to additional equipment. 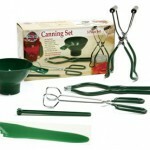 Consider placing a joint order with family/friends for canning supplies. You’ll save on shipping and potentially benefit from a lower cost by buying more. Organization is key to being a productive preserver. Get organized now, before preserving season arrives. Check out these tips from Living Homegrown. 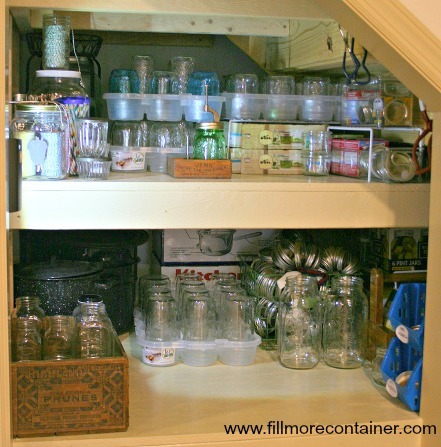 Storing all those jars, rings and lids can get tricky. Our customers have shared some great organization ideas here. 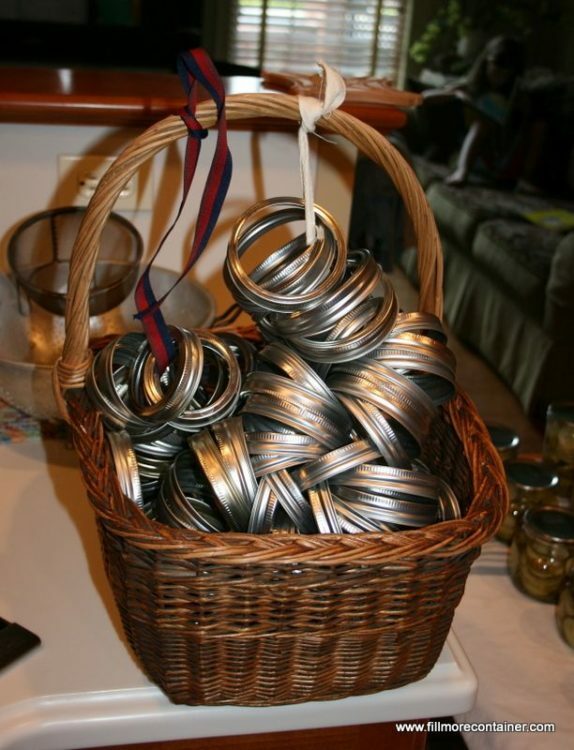 We tend to use Jarboxes to keep our supplies safe and organized, and we have our canning rings on display using a ribbon and a basket. Here’s a peek at our canning storage area. Read about canning techniques including how to use one-piece lids, how to can in hex jars, and how to help prevent jar breakage and other canning tips here. Hone your skills by taking a class. 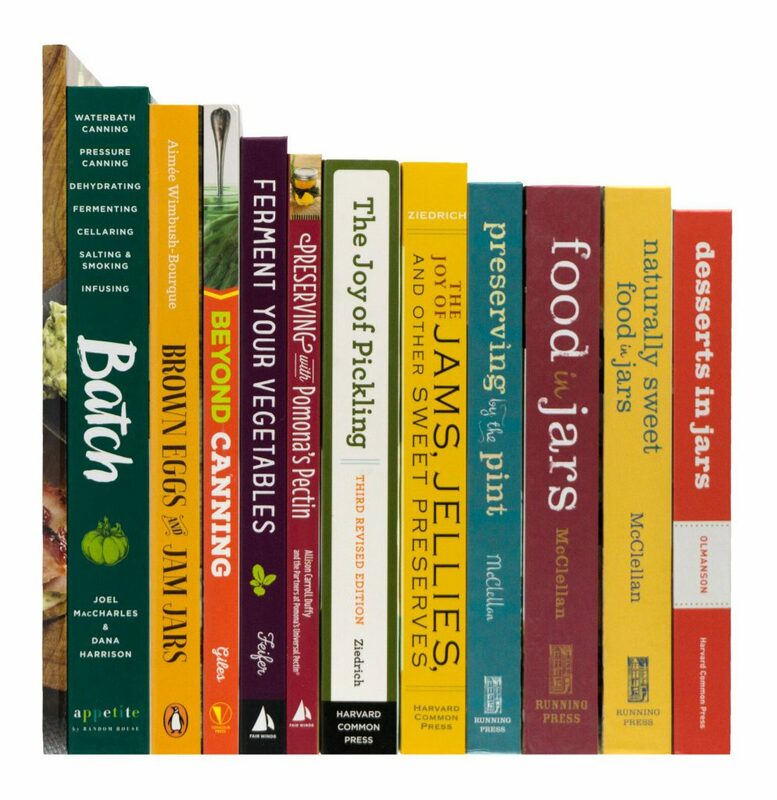 We’ve a list of some classes here, or check out these links – Food in Jars, Preserving Now, Sunshine Canning, Phickle, Greensgrow Farms, Manning Canning, Living Homegrown, and your local extension office. 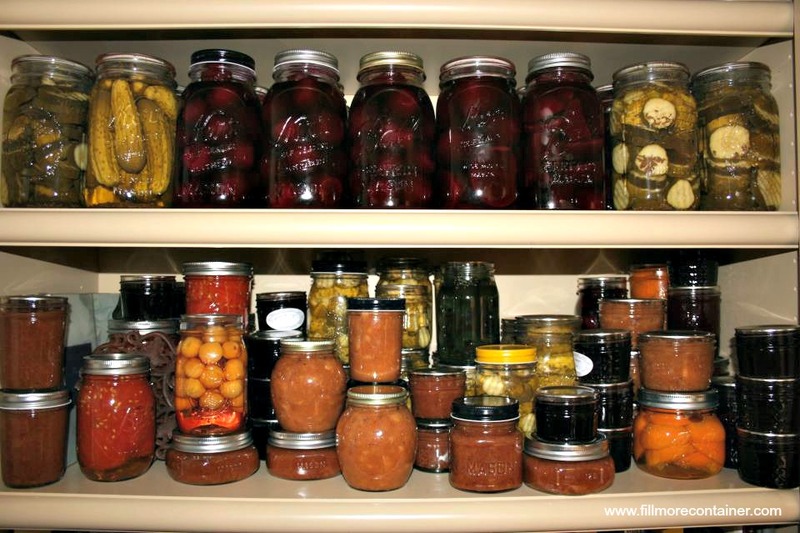 Hopefully, these tips will get you ready for preserving. Every year we set some preservation goals, maybe it’s to work with a fruit we haven’t jammed before, or maybe it’s to do more fermenting. One goal we always have is to encourage someone who hasn’t preserved before that – Yes. You. Can! 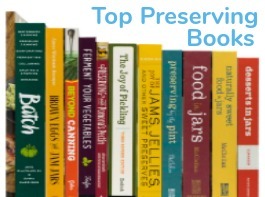 We were all new to preserving at some point, and we want to know – who taught you how to can? Tell us something about your preservation story in the comments, and we might feature your story here on our blog! Great, we will keep an eye out for them! Thanks. Great post!! Can’t wait to use these tips and get into canning season!